As a dressmaker, you are left with no choice than to be a fan of shears. You cannot do without a pair of scissors for any sewing project. Shears are essential to every sewer; nothing can be done without one. 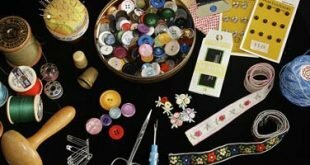 For these review on the 7 best dressmakers shears, hours of research went into it all by consulting experts and reading through sewing forums and hundreds of reviews. Gingher is a popular name in the sewing community, and that’s due to their quality products like this 8” shears. Cutting patterns, seams and long length of fabrics is the major strength of this shears. The knife edge blade is meant to cut through multiple layers of fabrics right to the tip. With a double plated chrome finishing, there is an added advantage of both durability and style. The handle can hold the material to the working table. You must be very careful with these shears, else you’ll end up cutting yourself. 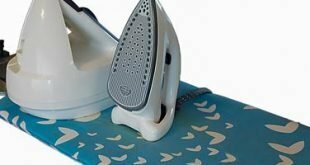 Without exaggeration, this sharp and durable shear can cut through fabrics like a hot knife cutting butter. Looking for a dressmaker’s shears that will serve you for years? P.LOTOR went an extra mile to design premium quality shears just for this purpose. At a length of 9.3”, it features a durable stainless steel with assurances of non-corrosion. Even if you have a small or unsteady hand, the anatomically designed soft grip will nonetheless help. Smooth cutting and high-level accuracy are also assured by the ball bearing joint that keeps you cutting with precision. There is no specific use for this pinking shear, you can use domestically or industrially. It has the strength to withstand it all, whether you are cutting fabrics, papers or for crafts. On the downside, there’s nothing much to note aside from the stiffness during the initial use. In the long-run, it will loosen up a bit. At a length of 9.3” you have long shears capable of handling just any fabric thrown at it. As the name suggests, it comes adorned with a gold handle and a bent design. Just like other Gingher shears, it has a knife edge with the sharpness that will cut through multiple layers of denim or sailcloth. Maybe it’s the sophistication added to the gold handle or the bent design that holds down the fabric in place. There’s something unique about this dressmaker’s shears. Precision and accuracy is not a concern, the shear is built just for the purpose of carrying out a mistake-free cutting. Newbies should look elsewhere for their shears. Beginners will struggle with the Gingher Gold handle and may end up cutting themselves. At a weight of 2.4 ounces, this is a lightweight shear for professionals. I will go straight to the point: Fiskars Eve is made for right-handed users to cut patterns, seams, and most impotent use for large fabric size. Your chances of making mistakes are low due to the grip of the Fiskars Eve. The bent grip helps to hold down the fabric while you cut. At 8” length, be prepared to make a long but precise cut through any length of materials. You’ll need to protect the blades of the shears when not in use. Store in the included original leather sheath. The only weakness is the design as it cannot be used by left-handed users. Fiskars Eve is sharp, precise and stays sharp even after long use. Graf is made with the finest of materials to achieve a level of finesse, durability, and style. The stainless steel is neither going to rust nor break. Graf is best for sewers but can be utilized for a dozen other crafts. High level of preciseness can be achieved with the 8” long shears as it features a bent handle that gives you total control. Using the backside hex-nut, you can do your tweaking and adjustment. Does that mean it can pull off? Be calm about it, it will never loosen. Depending on the climatic condition of your location, improper storage will affect the quality of the shears. But this is common to most shears. Outside of that, you have to yourself a dressmaker’s shears that can sew and do many other crafts. High-quality shears are not difficult to come by but having premium shears at a pocket-friendly price is the deal breaker. You don’t need to break the bank before having shears that are able to the job. Even at a little above 7” the shears still deliver on your expectations of a precise and accurate cutting. The ergonomic design of the handle also gives you firm control of the shears during use. Whatever you need to cut, just feed it to the ZXUY shears and it’ll cut without squeaking. 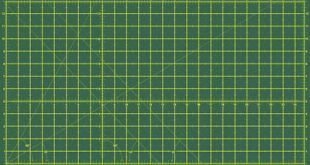 Due to the zig-zag blades, you stand a high chance of committing zero errors. To add to that, you can use it for decorative purposes or for cutting the edge of a seam. Expect a big and heavy shear; this is the major limitation. You may also encounter some stiffness during the early use. For this price and what it can do, you are making a good investment. Quite a long one from Handi Stitch at 9”, not the longest we’ve seen. But with shears, the longer the better. The blades are almost 5” long, giving you ample length to make pattern cuttings to the end. Two features stand out the Handi Stitch shears. One, for scissors of this length it has a weight that is never too heavy for even your sewer. Secondly, the ergonomic design makes cutting easy and swift. Place your material on any flat surface and you are ready to cut. You’ll find it easy to use the shears with both hands (left or right). There will be a feeling of heaviness at the initial stage, with time you’ll get used to the weight and size. After using this scissor, you’ll never settle for anything lesser in quality. Can you recall the number of scissors you’ve used since you started your craft? Why not invest in any of dressmaking shears with quality blades and top-notch designs. 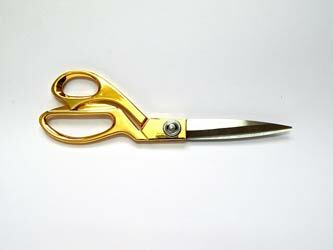 If you want just a knife edge shears for a straight cut, then consider the Gingher Goldhandle. It is supplicated, clean and perfect for any crafting project or especially for sewing or quilting task. P.LOTOR pinking shears is especially for those who need cutting scissors for beautiful scrapbooking..